How much space do you have available on your blog? In short, when you are raised by a librarian and a university lecturer, you tend to grow up with books. I remember a dissatisfaction with the TV shows and comic books that my primary school peers were spending their time on as well as an ennui towards school work in general. Most of my time was spent in the dazzling embrace of books. My most vivid memories came from an illustrated version of King Solomon’s Mines by Sir H. Rider Haggard, and, while it terrified me utterly, it instilled in me sense of wonder in the written word. Now, I don’t recommend that book to someone as young as I was, what with the bloody giant ice skeletons throwing spears through intrepid adventurers and Zulu warriors, (yes that image is still ingrained in my memory), I would, however, recommend reading as a primary escapist entertainment vehicle for children. It made me interesting at dinner parties as a child. With that background, I find the odds that I would be interested in the inner workings of creating fiction quite staggering. I found that I was good at telling tales from an early age (lying is such an ugly accusation), and started writing short, plagiarism riddled stories by the time I hit high school. Thankfully, all those early attempts were lost to humanity when my parents moved house for the first time. From there, it was a losing battle to attempt to integrate into normal middle class society before I caved to my inertia and started taking writing seriously. I am currently consuming literature and books on the craft of writing at a ferocious rate while attempting not to deride every attempt I have at writing as drivel to be deleted for the good of future generations who might be as ill-advised as to publish it posthumously. How did you decide on the name for your story in STORM? Naming a thing gives it identity, gives it form in the imagination and an anchor point for whoever is experiencing the thing. It’s of little help, say, if you are experiencing the object “elephant”, but is a lot better than the terror of the unknown when experiencing said elephant without that framework. There is a lot to be said about the title of a short story, a novel, or similar. It is the first impression that you will make to a prospective reader, and as such the single most important thing to entice the reader (up until she opens the work and reads the first line, whereupon that line becomes the most important thing, and so forth). Without a great title, she might never get to the first page. A book can be written on the process of naming a story, the semiotics of it, the psychology of it, the marketing angle, I’d be genuinely surprised if there weren’t several in existence already. How did I name this story? I took a line from the denouement that seemed to fit and then retroactively tried to apply all the above angles to it. A moment before I decided to become insane and call myself a lemon and declared the puddle in the back yard a gin and tonic, I gave it a rest and stuck with A Girl called Storm. What was your favourite part of the writing process for your STORM story? The challenge of facing off against the shorter format, knowing that I’ll have no space to wax philosophically, to extrapolate extraneously, for additional expositional information or for redundancies.The word count limitations tested my current skill at exposition, and I relished that challenge. I found that I grew as an author by writing this short story and pushed out at my horizons to complete it within the deadline that I was provided. What was the most difficult part of the writing process for your STORM story? I have a bit of a pathological fear of letting a piece of writing go. What if one more draft would have made it suitable for human consumption, whereas currently it was an affront to sighted individuals everywhere? I had it edited by our miracle worker in-house editor, Vanessa von Mollendorf, and with her blessing, I pressed send and tried my damnedest not to panic like a father dropping his teen daughter off in front of a crack-house in a bad neighbourhood. I let it go, the cold never bothered me anyway. Currently I am in the process of completing the first draft of the second novel in the SanguinemEmere series. It had a bit of a rough time on the backburner in the writer’s equivalent of development hell and I feel that one more push through the breach will get it to the editing stage, and then, to indie publication like its predecessor. There is also a new project for my author page (http://www.richardtwheeler.com/), where I intend to serialise a novel over 12 months via the page at no cost to the reader. That project will launch with the first two chapters on 1 June 2014, with two chapters delivered on a monthly basis thereafter. 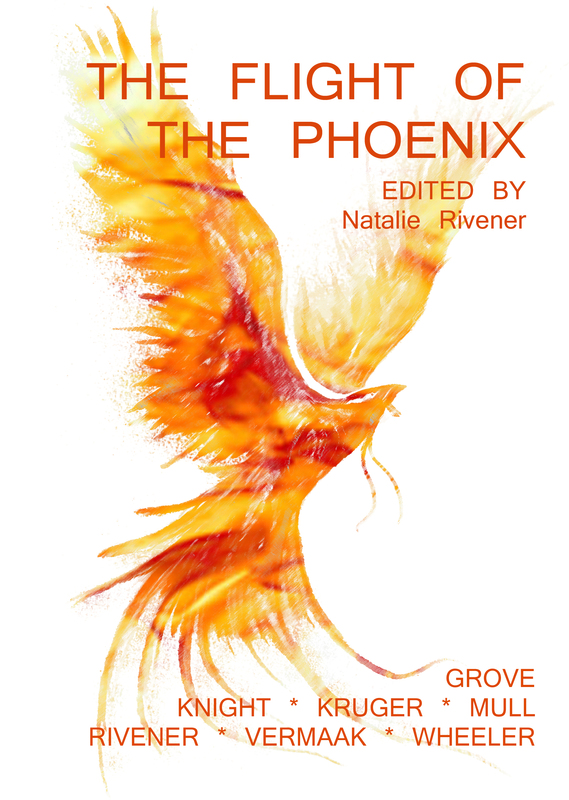 I have also been approached by the esteemed proprietor of this fine page to contribute to a short story to the Flight of the Phoenix collection that she is involved with. I look forward to seeing her reaction to the submission. On top of that, there is a ghost story novel set in 2010 South Africa that is in development if I can find the time. I hope to finish it this year in light of all the above. It’s going to be literary fiction, because the themes hijacked the story at gunpoint. Richard T Wheeler is the co-author of the SanguinemEmere mythology and author of A Girl called Storm in the STORM Anthology. His first co-authored novel, Bought in Blood was published on Amazon in an attempt to save the reclusive and endangered Lesser Spotted Old School Vampire. It is an ongoing conservation project. This entry was posted in About writing and tagged anthology, author, interview, Richard T Wheeler, short story, STORM.